Standing desks are so amazing for your energy level. They keep your core active, keep your metabolism up, and keep you energized. 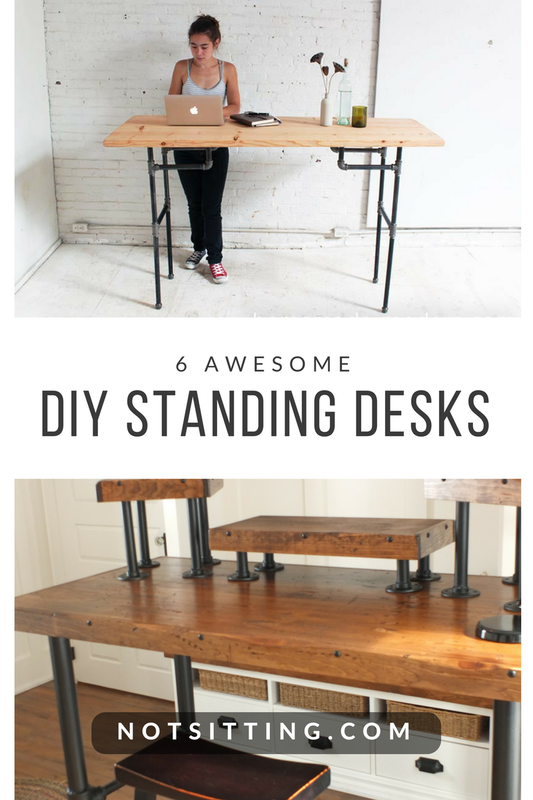 All around the world active DIY'ers are creating cool standing desks that you can build too. Some are a ton of work while others just require a simple trip to the hardware store. 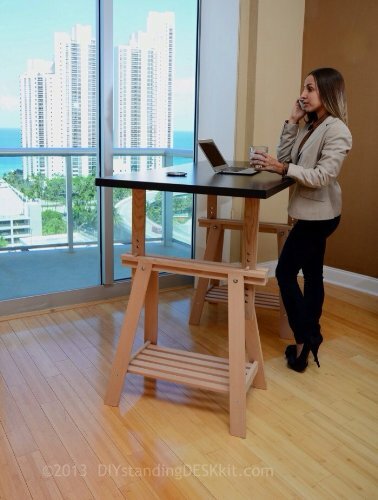 You can even buy standing desk kits on Amazon. 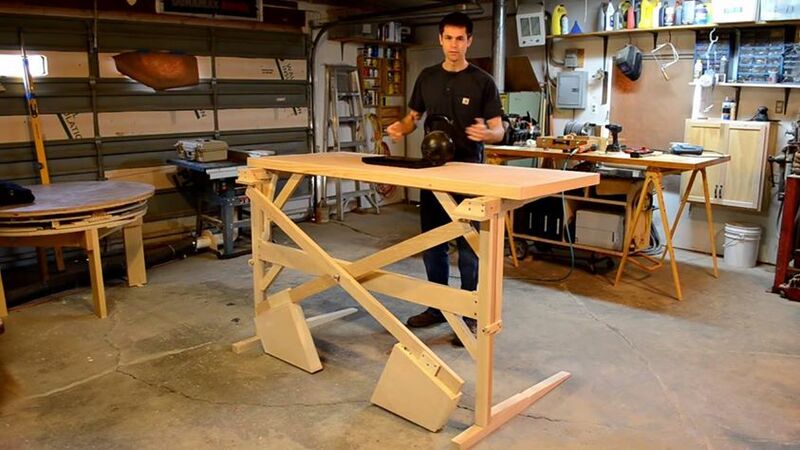 This is the simplest counterweight desk I've seen in the DIY channels and it includes a simple monitor stand as well. You can tailor the counterweight to whatever you place on the desk. 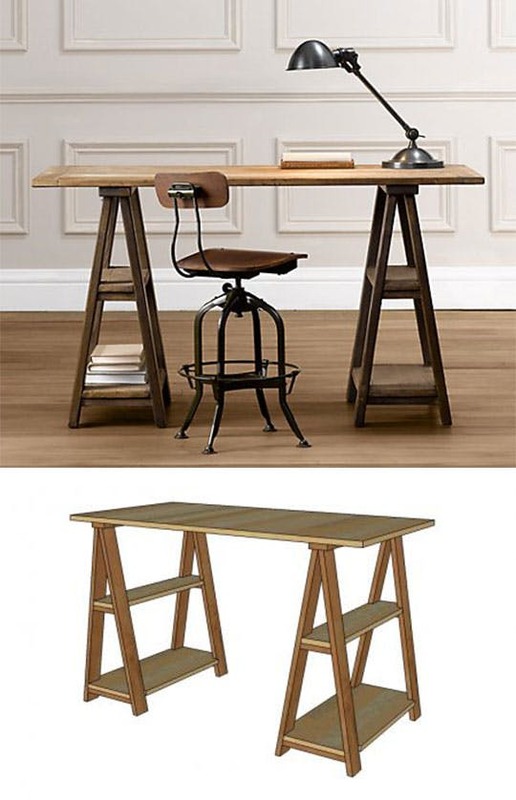 With a little time spent on a nice finish you'll have a clever desk that fits in anywhere. Learn more about this desk. An antique-looking reclaimed wood project, this desk takes the pipe-legs style and amps it up with over-sized pipes, an awesome black finish, and three pedestals on the desk itself. This is a great way to get your monitors, pictures, or other desk equipment up at the right height. Learn more. Homemade Modern has a well recognized and followed brand on YouTube and they spent the time to put together the simplest standing desk design here. 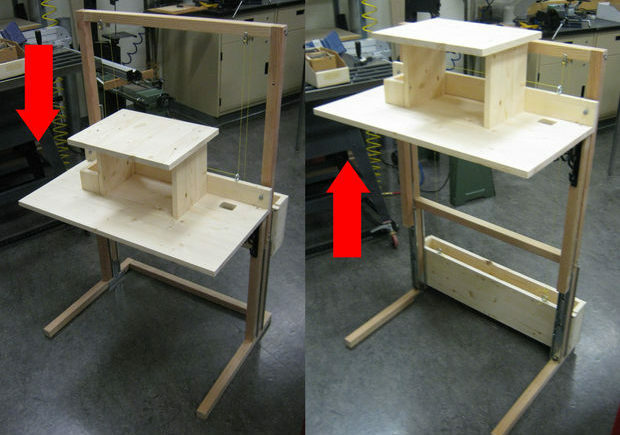 You can make any height table, stool, or chair with these same techniques. Watch the video and learn more. 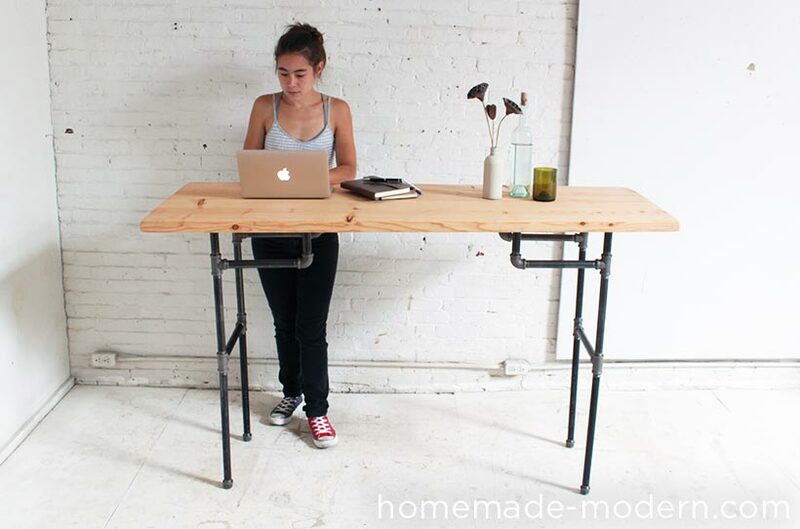 An epic counterweight-style adjustable standing desk, you can buy the plans online and make it yourself. IT has excellent capacity and you can customize it to your heart's content. Some pieces are CNC cut so that they are precise... you may be able to do it yourself or find a local show to make those pieces. You can see some other related projects in the background that are really versatile as well. I already own the plans for this one. 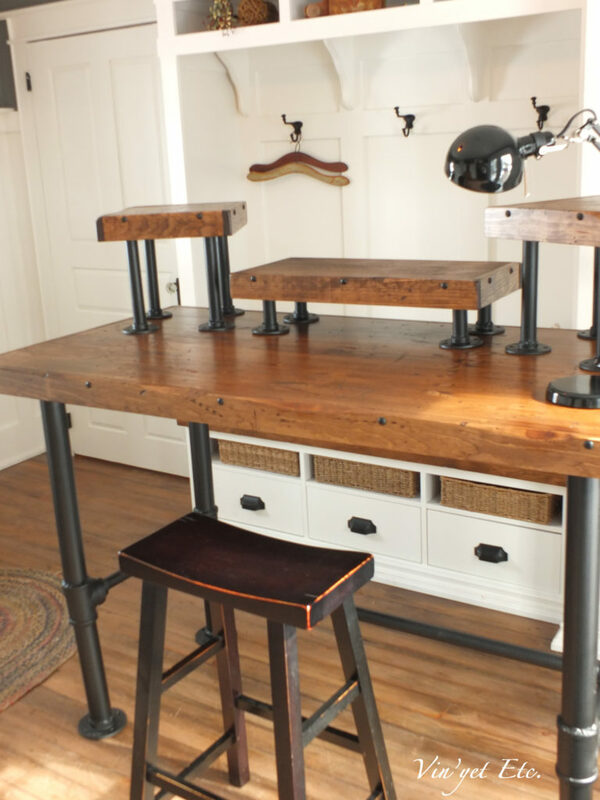 This simple standing height desk is made from a reclaimed door and styled sawhorses. Sawhorses are an easy way to gain height and stability for a DIY standing desk and you can make them look however you like with modern paints... even metallic. This one looks like a 1800's writing desk. Learn more. A new option for creating a DIY standing desk is to literally order a standing desk kit. The options are somewhat limited but with the popularity of DIY solutions, this kit available on Amazon, does stand out.